the Madrigal Choir, guests will also enjoy performances by the JHS Brass Quintet. Johnsburg High School’s Madrigal Dinner Performances will be held on December 1st at 1:00PM and 5:30PM and on December 2nd at 1:00PM. Advanced ticket purchases are recommended as the show often sells out. Tickets are $23 for adults and $18 for JHS students, children under 10, and seniors over 60. JJHS student tickets are $15. ​kkott@johnsburg12.org or call (815)-385-9233 x3502. 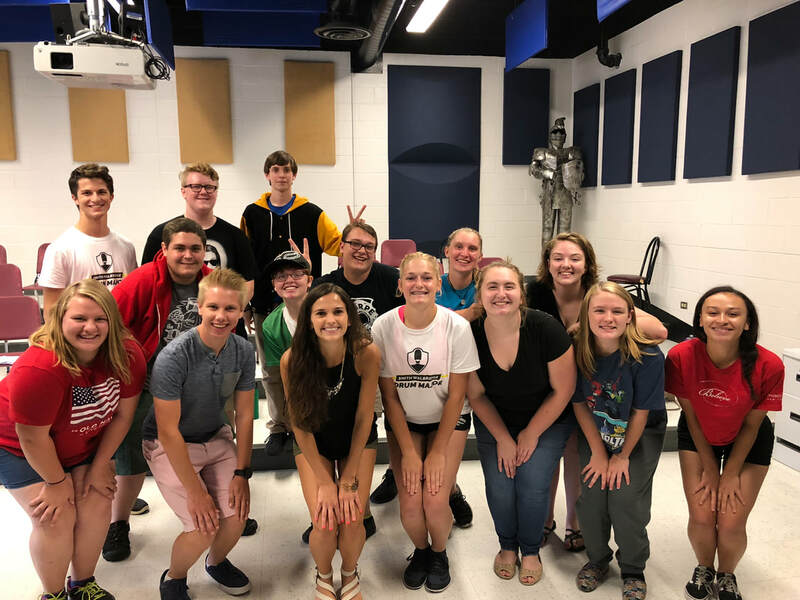 ​The JHS Madrigal Choir is an a cappella ensemble open to any sophomore, junior, or senior that has completed one year or more in the JHS choral program. Audition is required. This group sings various musical works from the Renaissance era. This group will perform at all JHS fall and winter choral performances. In addition to various community performances, this ensemble prepares an annual Madrigal dinner, held in early December. Composed of approximately 16 singers, these students prepare during the fall semester to learn both music and a script for the dinner. This group begins in August and ends in December.